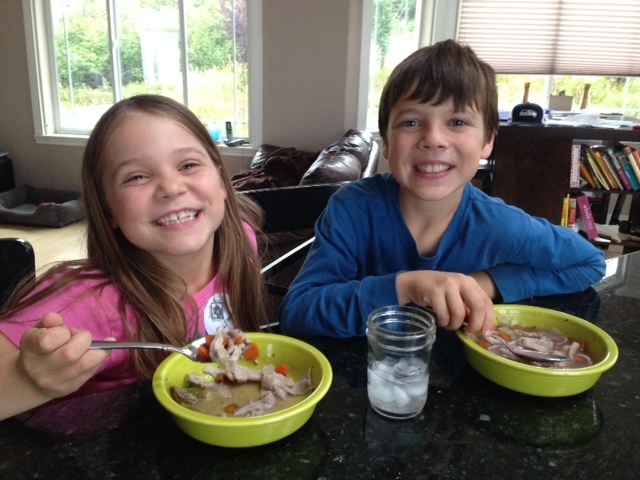 It’s soup season in Alaska, but we seem to have a carrot crisis in this house. Last weekend it was the beef stew. The meat was already tenderizing and veggies half chopped before I realized we were out of carrots. Apparently the kids are devouring them in their lunch boxes. Last night it was chicken noodle soup. 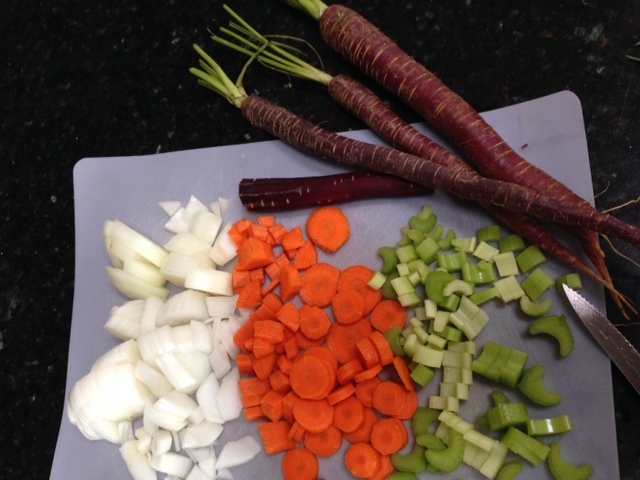 Once again my children had inhaled 5 lbs of carrots in a few short days, and I had no idea. We don’t live close to a grocery store, it was already 6 PM, and I decided chicken soup with two carrots would be just fine. 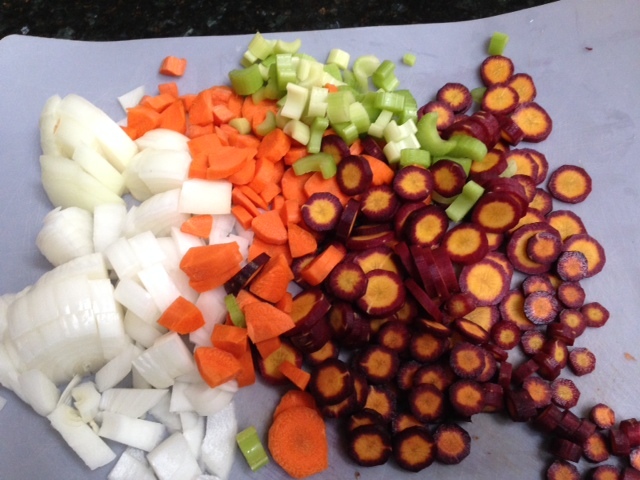 I had never heard of purple carrots, but as I peeled and chopped I became a convert. Clearly these beauties would make this batch of soup extra special. Just how special I did not know. 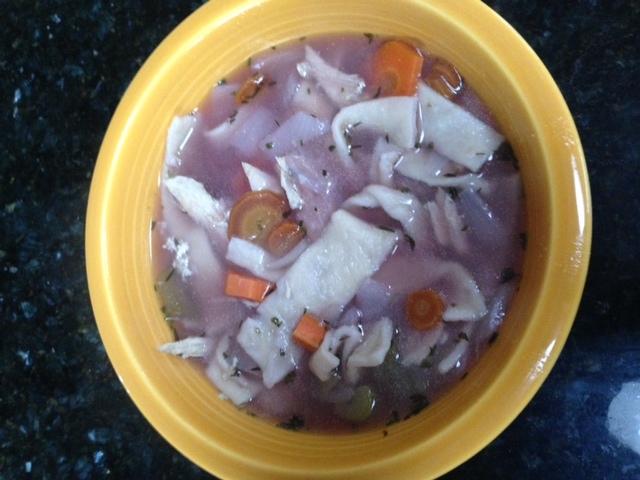 Would you believe my new purple friends turned the entire batch of soup purple? No artificial dyes required! It tasted the same as usual, but the kids loved it a little more. It wasn’t quite Stone Soup, but it still felt like a community effort. We sent a few bowls of our purple concoction to the neighbors, thanking them for the carrots. We hope they enjoyed it as much as we did!